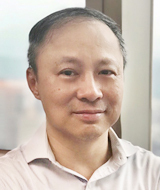 Han-Fei Lin, was newly elected as Chairman of Easywell Biomedicals, Inc. Previously, he has been a Partner and the Chief Strategy Officer with the CID Group since 2004. His earlier experience included serving as CFO for one of the largest fabless IC-design companies, MStar. 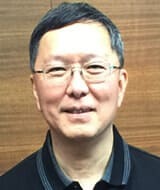 During his tenure with MStar, he led MStar IPO (ranked as one of the largest IPOs in Taiwan Stock Exchange history) and later completed its merger with Mediatek to create the leading semiconductor company in Greater China region. Han-Fei started his career at Wall Street across various functions, including Corporate Strategy Planning for Citigroup’s Chairman office, and Vice President, Mergers and Acquisitions for Citigroup/Salomon Smith Barney. Han-Fei had funded early-stage biotech ventures, and served as CEO of Asia Bioinnovations. Prior to this, Han-Fei served as Director of Investments for Foxconn’s US ventures. James Lee, Ph.D. has extensive experience in both medical device and pharmaceutical industries. As the founder of Magnifica, Inc. James Less had successfully obtained FDA approvals of APIs, optimized chemical synthesis for various pharmaceutical compounds, established API trading business, and developed Rx-to-OTC pharmaceutical products. He previously worked with Karl Storz Endoscopy, Inc. for a new product launch; and was able to obtain FDA clearance/approval for over 25 medical surgical device sets. He was previously employed by Baxter International and served as President of Pharmaports. He received his Ph.D. degree in Chemistry and Master’s in Biomedical Engineering from University of Southern California and earned his BA in Biochemistry from Columbia University, USA. 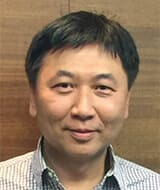 Yu-Hsing Tu, Ph.D. joined EASYWELL BIOMEDICALS, INC., in 2014 and is leading the build-up of pharmaceutical operations in product development under cGMP environments. He has 25+ years of pharmaceutical industry experience and is the inventor/co-inventor of many innovative technologies that received patents as well as multiple product approvals. Prior to joining Tulex Pharmaceuticals Inc., Yu-Hsing worked for Tris Pharma, Medeva (currently UCB) and Solvay. He is a pharmacist by training and holds a Ph.D. degree in pharmaceuticals from University of Iowa, USA. Bin-Ru She, Ph.D. has 15 years of hands-on experience in Cell Therapy and Regeneration Medicine. She is one of the regional’s leading experts in the field of Cell Therapy and Regeneration Medicine in Asia. Before taking this industry position, Dr. She was the senior scientist at Industrial Technology Research Institute (ITRI) and helped to build and supervise the operation of ITRI’s high quality, well reputed Cell Manufacturing Facility. 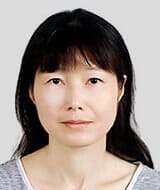 Dr. She graduated from the National Taiwan University, and received her Ph.D. in Molecular Biology from Indiana University-Bloomington. She did her post-doctorate training at the Salk Institute and the Academia Sinica in Taiwan. No.10, Yanfa 2nd Rd.,Hsinchu Science Park, Hsinchu City 30076, Taiwan, R.O.C.